You are here: Home / Breeds / Shih Poo: Complete Guide on Shih Tzu and Poodle mix! The Shih-Poo sometimes called the shipoo, is, as the name gives away, a Shih Tzu and Poodle mix! This small, loveable dog breed was developed as one of the many new “designer dog breeds” to hopefully combine the most sought-after traits of the Poodle and Shih Tzu. An ideal companion dog, they are popular with older owners thanks to their chilled out nature, tendency to be incredibly quiet, and lack of exercise needs. Which Breeds Make Up This Cute Dog? Get To Know The Shih Tzu! Get To Know The Poodle! What Are Main Characteristics of Shih Poo? What Can I Expect Of His Temperament? How Much Grooming Does This Shih Tzu Poodle mix Need? 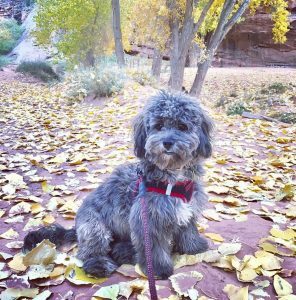 How Often Should I Exercise My Shih Poo? Are There Any Common Health Issues? Which Are Comparable Designer Dog Breeds? How Do I Find My Own Shih Poo Puppy? Even though the Shih Poo is made up of Poodle and Shih Tzu blood, it does not mean that he will have one parent of each breed. In fact, many breeders, in an attempt to improve this relatively new crossbreed – cross the Shih Poo back to a pure Poodle or Shih Tzu to enhance specific characteristics. We also know that this breed originates from the US. Breeders, looking to maintain the single, hypoallergenic coat that the Poodle is famous for, and the incredibly affectionate and quiet nature of the Shih Tzu. 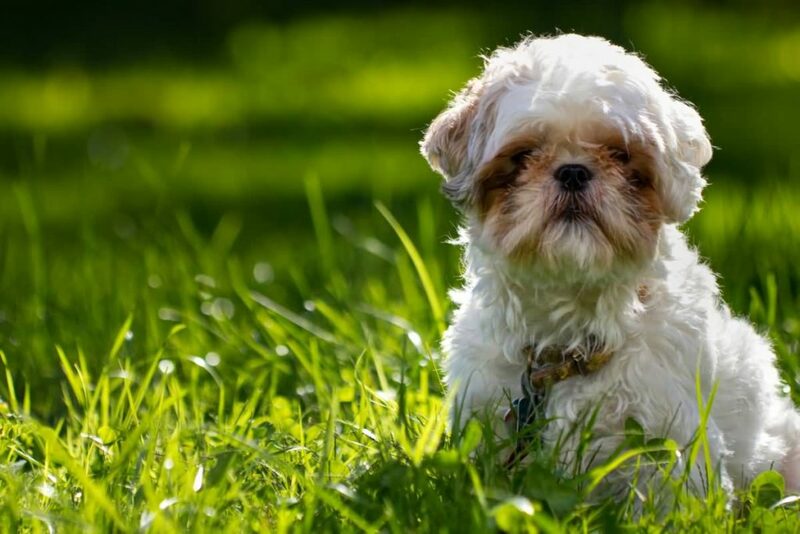 The Shih Tzu, also referred to as the Chrysanthemum Dog is a highly popular companion breed that sits within the Toy group in the American Kennel Club. Ranking 20th in popularity as of now, this long-haired, affectionate dog can be a bit cheeky when it comes to training, but if training is started young – he will be highly obedient. The name Shih Tzu comes from the Chinese word for Lion as the breed was originally bred to look like a smaller version of the majestic big cat. This miniaturization is something many Chinese breeds, like the Chinese Crested and Pekingese, have experienced. Many celebrities choose to share their hearts and homes with this silken haired dog breed, with one of the best known “celebrity” Shih Tzu’s being the duo Bing, and Bong who are owned by none other than the singing superstar that is Mariah Carey. Standard – over 15 inches (38 cm). Miniature – 10-15 inches (25-38 cm). Toy – Under 10 inches (25 cm). 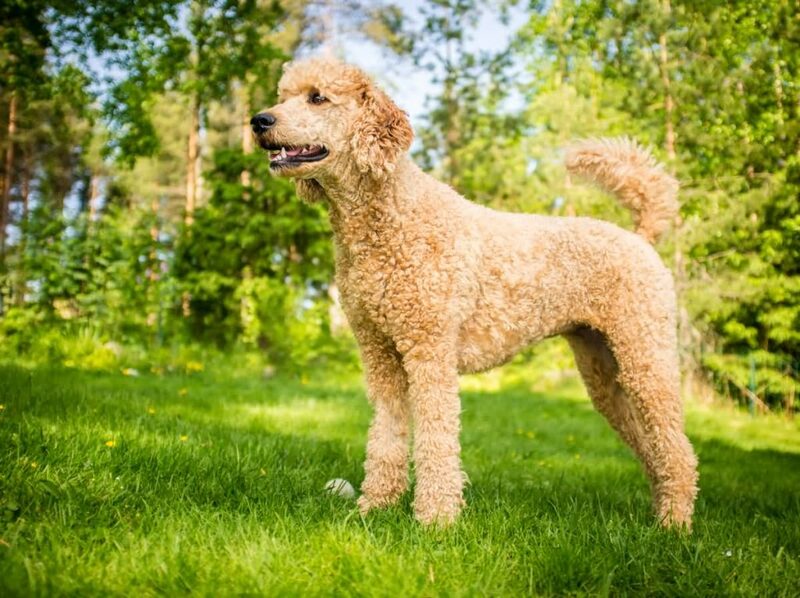 Hailing from Germany (and not France as often thought), the Poodle may look incredibly regal, but he’s no ornament and requires a great deal of exercise every day to keep him from becoming bored. The Shi-Poo is an incredibly affectionate and friendly little dog. Almost always preferring company, he isn’t normally shy of strangers – instead, he’ll quite happily lay on their lap waiting for some fussing! He’s not the biggest pooch, ranging in height from 8-13 inches (20-45 cm), and weighing anywhere from 8-18 lbs (3-8 kg). What he lacks in height, he makes up for in heart! Their intelligence is impressive and allows them to be easily trained, but they should be taught from a young age as they can tend towards being stubborn if left to their own devices. Ordinarily, this breed is exceptional with other animals, but again, it’s important to introduce them from a young age. The Shih-Poo is the ideal family dog, with a calm, and quiet nature he is the perfect Netflix and chill kinda pooch. He’s equally as happy outside, playing fetch, or going for a walk. He’s a real people pleaser and adapts himself to the environment. When the in-laws are looking after him for the weekend, with little exercise other than nipping to the local shop he’s quite content. Or, if you decide to pack him up for a family hiking trip through the woods, he’ll be just as happy! For those of you that understand the sheer joy of owning a dog that seemed to know when something was wrong and try to cheer you up – that’s pretty much what you’re likely to get with your new Shih-Poo puppy. The intelligence of the Poodle, combined with the relaxed attitude of the Shih-Tzu can result in a dog that is harder to train. This can be overcome by a proactive and patient owner that begins obedience work and socializing from young puppyhood. As this breed is prone to separation anxiety, crate training your puppy is a great idea. Many owners have the incorrect notion that crate training is “prison for puppies” but it’s the absolute opposite. We all need our own space to go and relax, and for your pooch – his crate is his den! The Shih-Poo, as with any other dog breed, will thrive in an environment of positive reinforcement! Training can be fun for pooch and owner, why not set yourself a new training challenge each weekend? You could even team up with a fellow puppy owner at the dog park, and have someone to troubleshoot with! Here are some ideas on what to include in your training schedule and when! Teaching your puppy to be given his food, and have it taken away to avoid him becoming food proud. In order to know when he has to pay attention to you, your first step is teaching him to recognise, and follow you when you’re calling his name. It’s never too young to start introducing your pup to new environments and situations. Of course, he needs to have his vaccinations first, but as soon as he does – you’re ready for adventures! The most important lesson your puppy can learn, well it certainly feels that way after a few weeks of cleaning up potty pads! By this age, your puppy will have already learned what it is to learn! He should already come to you when you say his name, now you can add basic commands such as sit, down, and stay. You can start by teaching your dog to go to bed when he’s tired, this is to make him associate his bed with being, calm, sleepy, and cozy! It’s usually a good idea to combine the above exercise with crate training. From the get go, if your dog’s bed is in a crate with the door latched open – he’ll associate the crate with happy naps! This is especially important if you have little kids, teaching your pooch to gently take treats, or not jump up just requires a firm, yet gentle approach. When your dog is barking, you can sit with him and say your command word “quiet” or “hush”, now wait until he quiets down, and praise him. A dog that can stop barking on command is perhaps the best dog of all time! Don’t be disheartened by the setbacks, just keep pushing forwards and pretty soon you will have an incredibly obedient young dog. Not only will he be a joy to be around, but it can help to avoid potentially dangerous situations such as running out onto the road, or fighting at the dog park! One consideration when looking into bringing your very own Shi-Poo home, is, their big fluffy coats! Of course, what else could you expect from the child of the Poodle and the Shih Tzu? Their thick coat, while it doesn’t shed excessively, does require frequent grooming, and trimming to ensure that it doesn’t affect your four-legged friend’s health. Professional grooming is advised for every four to six weeks, but if you’re handy with a pair of clippers, or prepared to learn; you could save yourself a great deal of money by giving Fido his haircuts at home! 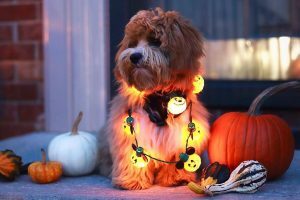 As well as grooming, with the Shih-Poo being a smaller breed, he is more susceptible to oral disease, ear infections, and tear stains – all of which are manageable with a grooming routine. Just to make your life a little easier, we’ve jotted down a quick cheat sheet so that you know how often you need to take care of these tasks. Your trusty Shih Tzu cross Poodle doesn’t need quite as much activity as his curly-haired family members, but he does need more than his silken-haired ones! Each dog is different, but on average, you’ll need to exercise your Shih-Poo for forty-five minutes to an hour and a half daily once he’s full grown. This doesn’t mean walking only, as you should try to mix up his exercise to stimulate him mentally. Spending 30mins on a morning walk to get some healthy exercise is great, but to exercise your pups brain through socialization and outside stimuli – heading to the dog park for an hour in the afternoon should make for one happy pooch! There is an argument flying around on the so-called additional health benefits of a crossbreed dog, over a purebred dog. With many proclaiming that a mixed breed cannot develop the medical issues that affect a singular parent, and instead – can only contract those that affect both breeds. This phenomenon is known as Hybrid Vigor, or to use it’s technical term – heterosis. There is merit to this argument, but only that the dog will be less likely to develop a disease from one side of the family – as is the case with us, humans, too. But, it’s not guaranteed. The Shih-Poo isn’t the first designer dog breed to pop up, and he certainly won’t be the last. I do hope that when looking for a new dog, you first consider the temperament, and health of the breed! Now that you know that this breed is the one for you, it’s time to go on the hunt for your Shih-Tzu and Poodle mixed puppy! 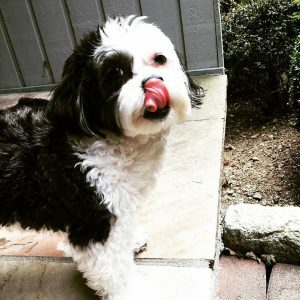 Many owners use Google to find their furbaby, but did you ever consider hopping on a Shih-Poo or canine message board and asking for tips on the most reputable breeders?! And buying a puppy isn’t the only option, even when looking for a designer dog breed. 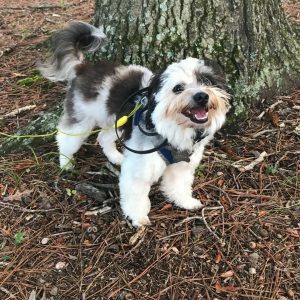 Many rescue groups focus on specific breeds, or mixes and will be more than happy to let you know as soon as a Shih-Poo puppy, or full grown adult becomes available for adoption! The Shih-Poo is an excellent family dog, perfectly sized to fit in an apartment or small home. And fuss-free enough to not require his own yard. His aloof attitude makes it seem as though this would be a more difficult breed to take home later in life, but given his Poodle blood – I’m sure that he would be smart enough to become the perfect dog! What do you think of this designer dog breed? Comment below! I am not sure that I agree with cross-breeding. Why do people have to change the “natural” order of things. I AM NOT A BIG PROPONET OF PAYING FOR ANIMALS. With SO MANY animals in shelters, I have a hard time spending a large amount of money on a dog that will have a home because the majority of consumers want pure breed dogs. Ironically, there are pure breed dogs at kennels. I currently have one German Shepherd & four cats. They have all been rescued. In the past, I have purchased two ShihTzus & a Daushound. I actually have found that the dogs I purchased were not as “sweet” as my rescue breeds. Rescues are thankful for their person because they are normally taken from bad situations. I found my Shepherd online. She lived at a “home shelter” with nine or twelve other dogs. I don’t remember the exact number. She is so pretty—she is a golden color with small amounts of white on her body. I was told that she had been neglected. My husband & I went to meet her in her temporary home two hours away. The lady came out when we arrived, and after introductions she said I will bring her out. She wanted us to be alone with her. When Holly came out, I was overwhelmed by her beauty. I grew up with several Shepherds so they have always been one of my favorite breeds. I have a picture of Holly on a leash while meeting her for the first time. She was looking at me while I was bending down down. My husband wasn’t so sure about having a Shepherd in our home. I wanted to take her right then but she had not been spade. She was two years old. We met her caretaker two weeks later to get Holly. We stood out in the parking lot of Wendy’s and filled out some paperwork. When we got her home, we soon realized that the “neglect” had been “abuse”. This was my first experience with an abused dog. She would not come around my husband nor did she allow him to pet her for the first 10 to 12 months. I have a shih- poo given as a gift. She was 3yo when I got her. She is absolutely the best dog I have ever owned and it is a pleasure to share life with her.